F-14 Tomcat of the famous VF-1 (Wolfpack) serving aboard USS Enterprise in the late '70s early '80s. 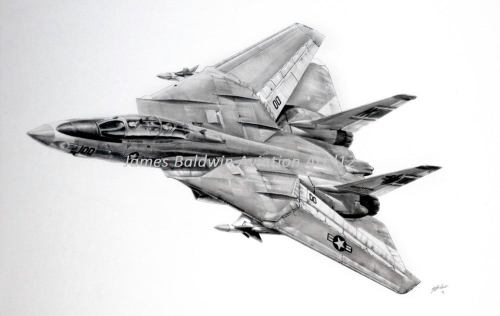 VF-1 was the first operational Tomcat squadron. The mighty Tomcat is sadly missed in the US Navy's inventory, having given way to the F/A 18... but her memory will live on!